Even if you’re not an avid follower of the sport, Snooker betting offers plenty of big stars and major markets to get invested in. There are many different continental and international championships and markets to get involved in, and while form may be a little different as opposed to how it may be analysed in other sports betting and activities, it is still important to keep an eye on rising stars and current champions alike. 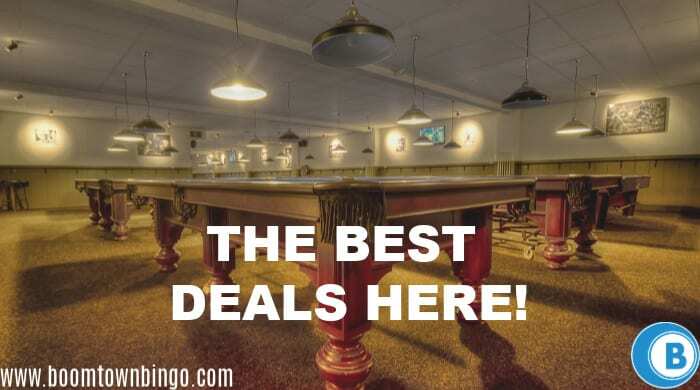 Have a look at the best Snooker betting websites we have on our site and check out the deals they are offering! Big names like Ronnie O’Sullivan and Mark Selby are safe bets – especially when it comes to the bigger cups and tournaments – though there’s nothing to say that even the best players won’t have an off day from time to time. This is our brief guide to snooker betting, with view to giving you an introduction to all the basic terms and markets that you can expect to dip into if you’re just starting out. Whether you’re into your big tournaments or your smaller clashes, the vast majority of bookmakers and betting names will have a wide array of matches and standards for you to place your money on. 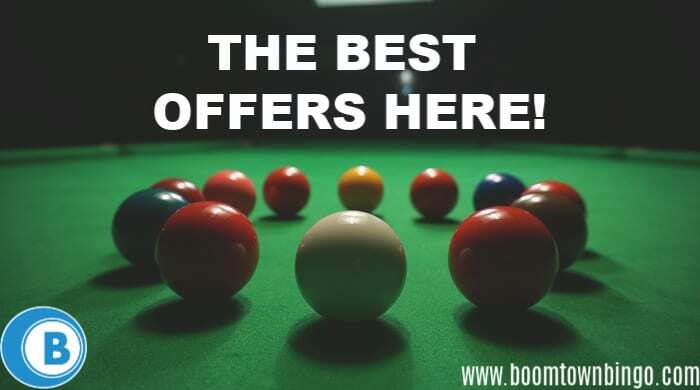 Snooker betting odds are perhaps some of the most common you may find from bookmaker to bookmaker, though there is nothing to say that the markets are always straightforward. It is recommended to check the snooker bet types if you do decide to place bets, as this will tell you which bet would be best for you. There are plenty of ways through which you could make each game and opportunity unique. You can, for example, place bets on when a maximum 147 – that’s essentially the perfect game of snooker – will be scored at any time during a tournament. Most times, this is a pretty safe bet if there are lots of big names and talented players in the mix. However, if you’re looking to bet on straight wins or outright winners of certain cups and tournaments, you will do best to look into specific snooker betting tips and hints which will line up ahead of certain matches taking place. Take a look at our football betting tips and let us know what you think! The best place to look for these, and to learn a little more about form and predictions, Official World Snooker is well worth clicking through on. The Snooker World Championship is one of the most popular snooker events in the calendar, and for good reason. While players such as Ronnie O’Sullivan may have dominated on this scene for many years now, it is well worth taking into account other players who are up and coming, or ones who have already proven themselves on the national and international scenes. Snooker World Championship betting is often open far ahead of the first matches taking place, but the markets are also well worth keeping an eye on closer to the time. Live betting is rife on the scene as much as it is with other standards – which means that if you feel a certain match isn’t going the way you expect it to, you can take the opportunity to really put your money where your mouth is. The Masters tournament is one of the toughest and most exciting invitational tournaments within the snooker calendar year on year, and it has been part of players’ schedules for over 40 years now. Carrying a prize fund of around £600,000, the players here really are the best at what they do – and the pressure, of course, is always on. It’s the second-longest running tournament of its kind, and as such, there’s always likely to be huge markets and odds available on who is likely to win which matches and to take home the coveted trophy. Most snooker betting odds experts will advise that you drift towards the bigger competitions within the sport if you want to take advantage of best odds and markets. Tournament outright betting generally carries the best odds for the Masters, but you can also mix things up a bit and predict who will be likely to finish up in a quarter or semi-final. As with other sports with these types of brackets, you don’t have to pick an outright winner unless you really want to – if you feel confident enough! Live snooker betting is surprisingly exhilarating despite it being fairly sedate – which, it can be argued, is a combination that makes things all the more interesting. Spotting form mid-play is perhaps no easier than at the table – snooker bets are favoured by many punters as it’s so wide open and there’s little room for panic mid-play. In-play betting has become extremely popular with people looking to take greater control over their punts, and with so many different world class players regularly cueing up to take part, there’s little wonder as to why the sport is always on the rise in popularity stakes. Betting on snooker is easy – and it’s a game that’s also deceptively easy to keep track of. Players pot a red ball, then a colour, then another red, then the next colour up – and then until all balls on the table are out of play. A particularly intense or even clumsy match can take hours and hours – making it very much a spectator sport for a certain type of punter and/or viewer. Snooker betting in play or in advance is easy to come by. Take a look at the bigger names online scene or on high street in the first instance, but don’t forget to use any welcome bonuses and free credit codes to your advantage if you want to make your experience travel that little bit further. Take a look at the deals online right now and mix things up! World Snooker Championship betting is available all year round – but it may be worth you signing up to newsletters or to download an app or two to keep you up to speed on big changes in the tournament markets. Take greater control over your betting via mobile phone!